I don't know what it is, but I am fascinated by items in miniature form. Things just seem a bit more charming and fun when they've been scaled down in size. 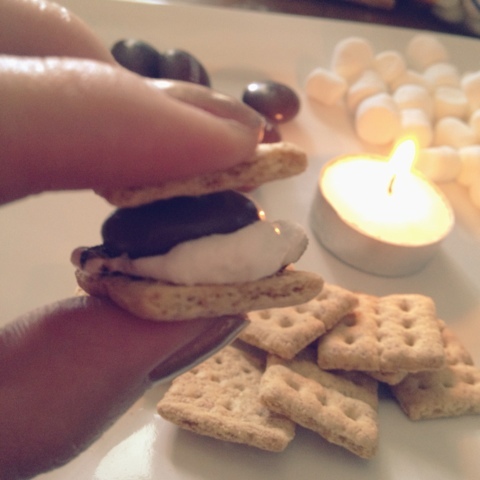 So when I spotted a box of bite-sized graham cracker squares in the grocery store the other day, I of course thought, "Omigoshthesewouldmakethecutestlittlesmores..." So I made some. And they were yummy. I stuck a mini marshmallow on the end of a toothpick and roasted it over a tealight. 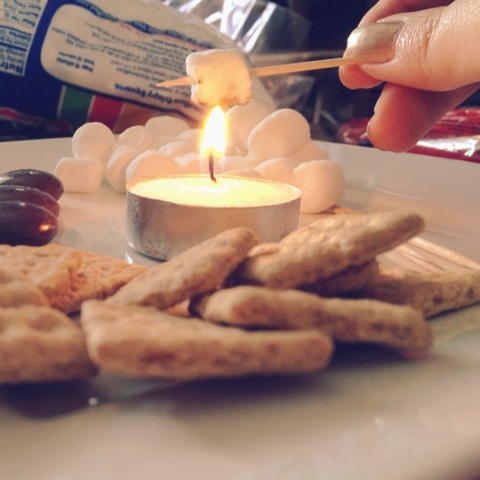 Because the chocolate candies are rounded, it helps to hold it over the flame for a second or two to melt it a little so it sticks to the graham cracker more securely. An added bonus about these little guys is that you can make and eat several without feeling like you're overdoing it. 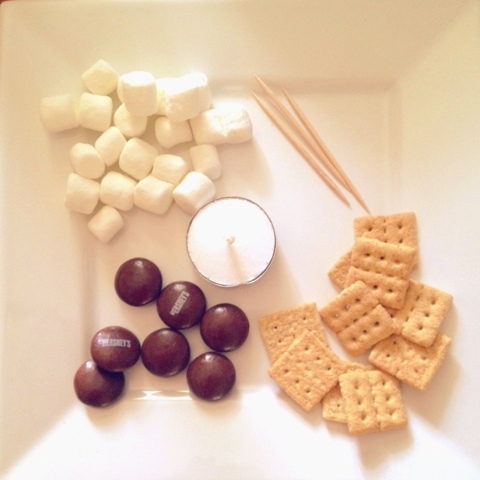 Usually with normal-size s'mores, I can only make one or two before I am overwhelmed with sugariness. I love it. And I am crazy for miniature, too.